The hard work of inward reflection will pay off! There are a lot of tools and assessments for you to start putting words to your thoughts and actions. This list is not exhaustive; I’ve listed the assessments I’ve experienced personally and use as I guide my coaching clients through this step in clarifying their identity. ***If you take more than one of these, space them out and give yourself time to process each one before you move on to the next. It’s vital to know what drives you at a foundational level. There are no right or wrong answers to any of this, you have to figure out what are the non-non-negotiable in your life. I adore getting feedback from friends and mentors. I’m not sure where I got the idea, but in my twenties I started asking bosses and people I volunteered for to share their observations of my strengths, weaknesses, and anything else they felt would be helpful to my personal growth. Every time it has been eye opening and given me goals to work toward or improve upon. Anytime you move or leave an environment, that’s a great time to ask for these letters. And I strongly encourage written letters instead of conversations whenever possible because you’ll have the opportunity to reflect back on their words as often as you want. Ask yourself: What do you do better than 10,000 other people? You have so much untapped depth. I can’t wait for you to explore more of who you are. When you commit to the process of further discovering your identity, you will find fulfillment and greater satisfaction. Finding and unleashing your inner self will open doors and challenge you to dream bigger as you realize your greater capacity. One of my favorite parts of life coaching is helping individuals unwrap the layers that hold their true self. I would be honored to walk alongside you during this phase of your journey. 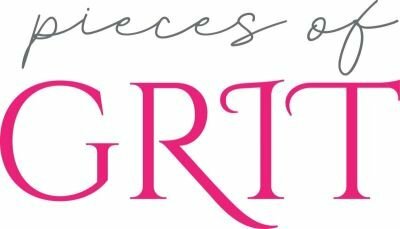 If you are interested in scheduling a coaching session, contact me through www.piecesofgrit.com.